We are Chartered Accountants with a passion for helping small businesses to flourish. We will get your business setup efficiently, making life easier for you. You will receive personal attention from us. We specialise in accounting and tax, using efficient technology, wealth protection through the use of trusts, resolving tax problems with the government, and providing an easy as bookkeeping service. Turning Vision Into Value. Originally trained in Planetary Science, after moving to NZ from the UK I chose to take up accounting & am now a qualified ACA. I focus on small businesses and enjoy the mathematically impossible. 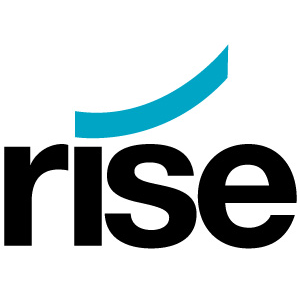 Rhea has been with Rise since 2010. Rhea has an excellent rapport with clients, ensuring that tasks are undertaken promptly and efficiently and has an excellent grasp of Xero and other Apps. Clients of Rise Accountants connect to a range of banks via Xero. Rise Accountants specialises in working with some of those banks; they can help with setting up bank feeds, and are knowledgeable about accessing bank loans and streamlining payments through Xero. Rise Accountants works with businesses across a range of industries. They specialise in helping to choose apps that integrate with Xero to boost business performance for some of those industries. Rise Accountants serves clients who use 13 different apps that connect and integrate with Xero. Xero is beautiful online accounting software for smaller businesses. Rise Accountants can help make your switch as smooth as possible.